After the two September 2017 devastating hurricanes, Vieques is STILL without power and many are without adequate water, food, and fuel. Hurricanes Irma and Maria were some of the worst in Puerto Rico's history, with winds over 160 MPH. Government resources have been scarce for those on the small island of Vieques; and for the elderly, sick, and poor citizens, it’s been nearly impossible. OUR MISSION IS ALWAYS TO SERVE THE MOST NEEDY. WE ARE GOING DOOR TO DOOR TO PROVIDE WATER, FOOD, AND AID We are still finding people in critical condition in their collapsed homes, and many more survivors hanging by a thread. Help is critically needed in the forms of donations (monetary and in-kind) and volunteers. •Visit our website at COREFI.org to find out more about our work on Vieques since 2008, donate on a monthly basis, and volunteer. COREFI is a 501(c)3 organization led by Viequense native Ana Sonia Ventura Morales. 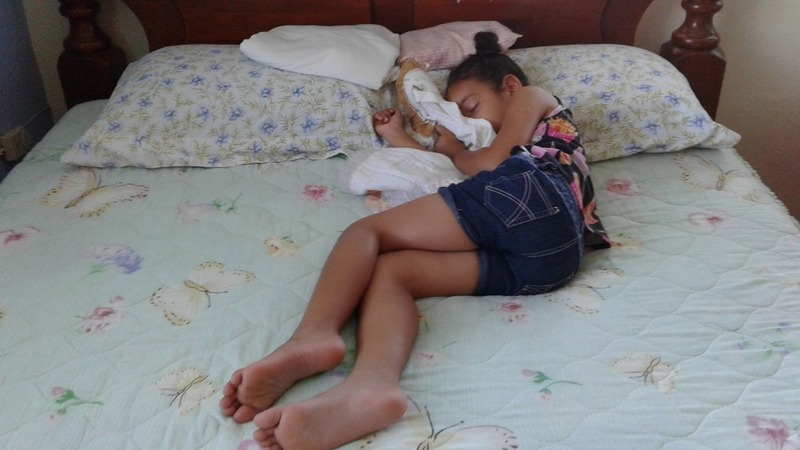 We serve the most needy in Vieques: the elderly, the sick, and the disabled. We are 100% volunteer-powered. 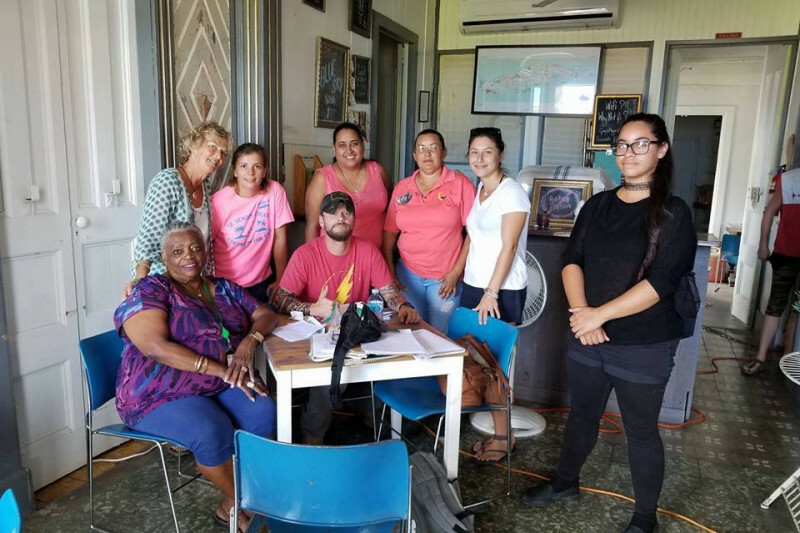 As our organization and the needs of Vieques have grown, we plan to grow and continue to help lead Vieques by providing all of our people with access to food, medicine, shelter, jobs, and sanitary living conditions. Perhaps most importantly, we believe in the dignity and improving the lives of all those on Vieques. The small island of Vieques, off the coast of Puerto Rico is becoming known as a vacation paradise for those fortunate enough to visit. But... COREFI a non-profit organization is in need of funds especially considering that our oldest population faces increased transportation, food, and medical supply needs. We have helped many of these often unseen citizens travel to Dr appointments, repair leaky roofs, read personal mail ... supply whatever is needed. Please help those stuggling in our community. Thank you so much for your donations. Please spread the word of our work if you can, with the tax reforms on the horizon, now is a great time to support our Vieques community. See our new website at www.corefi.org for news of Vieques and what we have been up to. It is a critical time for us, our door to door search continues and you have made this work possible. Come to our weekly plaza meet-up Weds! Check our new website at www.corefi.org to find out more about volunteer opportunities, our current needs, and our mission to go door to door after the hurricanes to provide aid. Please share our site and spread the word of our fundraisers if you are able. Our food bank was destroyed in the hurricanes and we want to restore it. This is Lisa Young, a volunteer with COREFI. We are handicapped by no power (almost 3 months now) and virtually no internet to report on our daily activities. Please refer to Corefi Vieques and recent interviews with Veteran Disaster Relief for our most recent uploads. Each day we try to save at least one life. Going house to house, with our few volunteers, we find people still living in rubble, unable to reach food, water or critical medical relief. Given resources, we could expand our client base exponentially. There are so many that haven't been triaged yet. 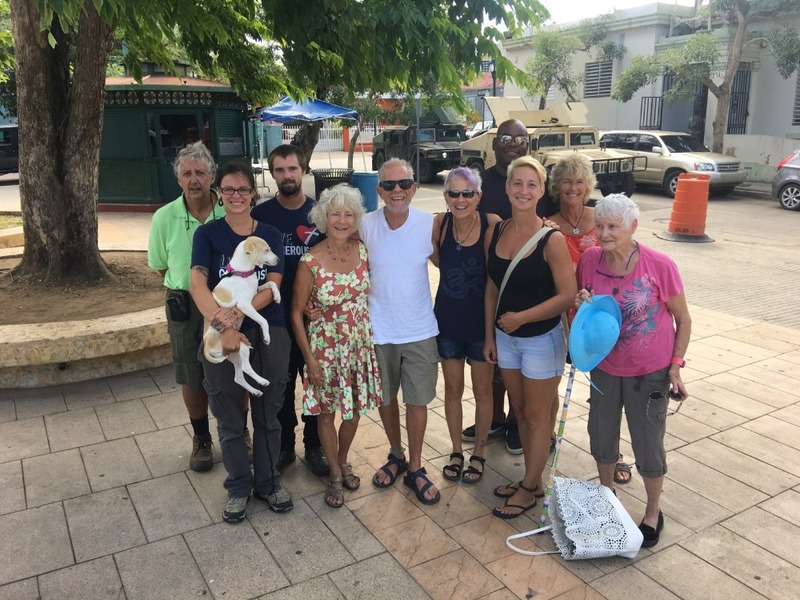 We have been relying on other volunteer groups such as Humanity 1st Drs, 3 Nails Project, Hope Builders, Unity Warriors, church and private donors to bring humanitarian relief to Vieques. The situation remains critical and your support is literally saving lives. Thank you for helping us to help the most frail, indigent and marginal victims of Maria... Every penny received will be accounted for and go directly to relieving this epic humanitarian crisis. I'm donating to help those affected. My dear friend Liz and Nancy Santiago have family there.